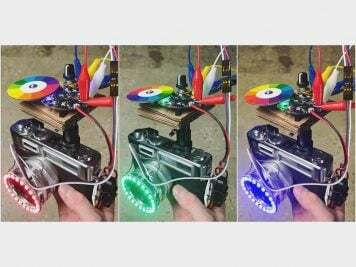 Coding Resources for Kids #STEM « Adafruit Industries – Makers, hackers, artists, designers and engineers! 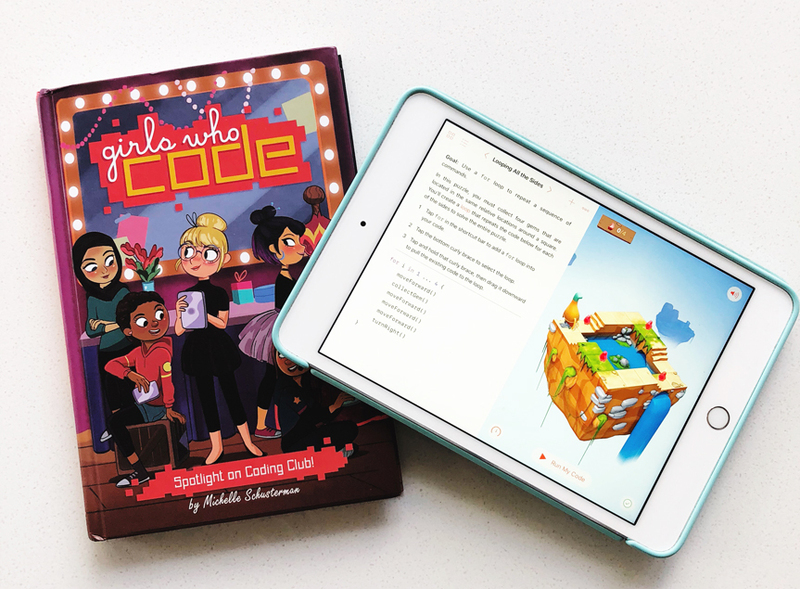 This week, the Girls Who Code book series for girls launched it’s fourth book. (My personal blog, Coquette Maman is part of the book series blog tour.) 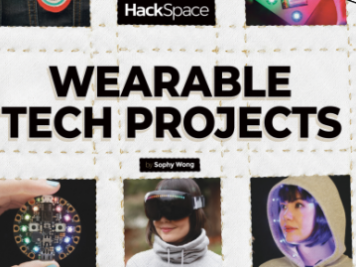 I mentioned this book series and activity book in my STEM Activity Books post here on Adafruit this summer. 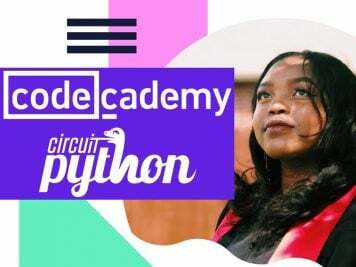 My 9 year old daughter Chloe (pictured above) is also a girl who codes. She’s very passionate about it and reading a chapter book series with girls who are doing activities that she loves is important. So on the subject of coding, I thought it would be fun to round up some really good coding resources for kids. I realize that there are lots of coding apps and sites out there, but these are the ones that Chloe uses and enjoys a lot. 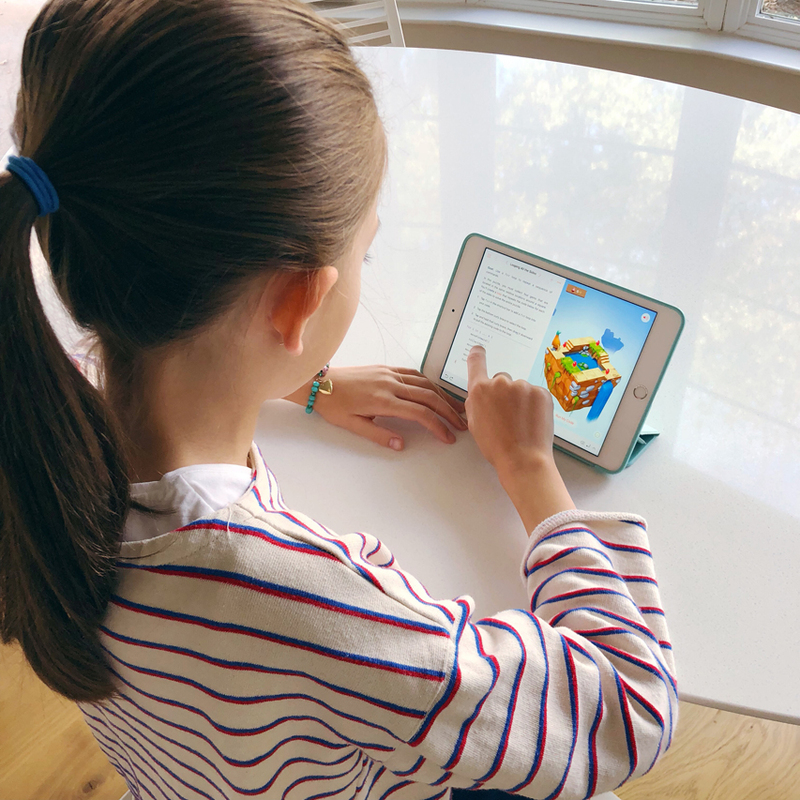 If you know of any other great coding apps or web sites for kids, please feel free to leave it in the comments section below. 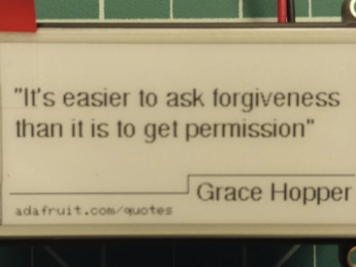 This is Chloe’s favorite way to code right now. 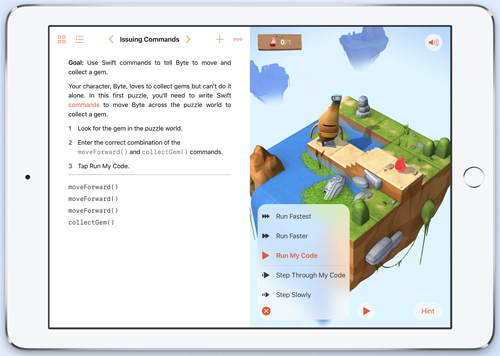 It’s a new free software program from Apple that lets kids code on their iPad learning the Apple programming language Swift used to create apps . 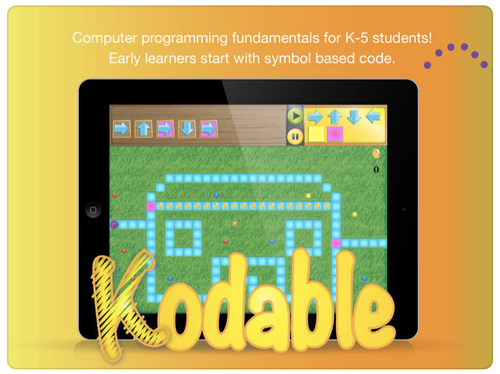 It requires no prior coding knowledge and is great for kids just starting out. My husband works on activities with her and he is really impressed with all the lessons and puzzles. 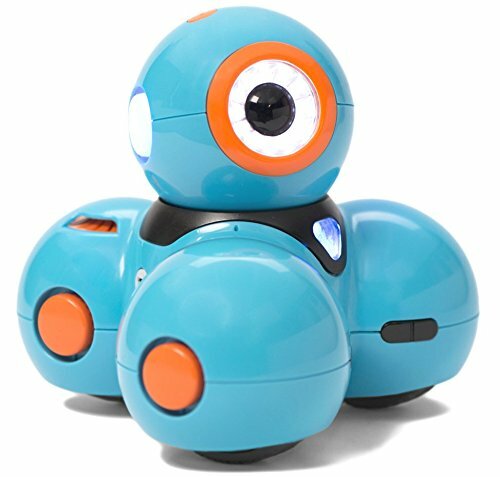 It makes coding fun for kids. 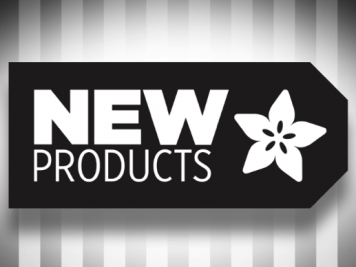 You can even use this to program your Lego Mindstorms EV3. But I will point out one important thing, it doesn’t really let you write apps or export your code so you really can’t build anything except for the exercises in the app itself. Regardless, It’s interface is sleek and engaging and would likely peak and child’s interest into coding. iTunes says this app’s age range is 4+ but I personally think kids around 8 or 9 will be able to grasp the concepts better, rather than just enjoying the animations and 3d characters. 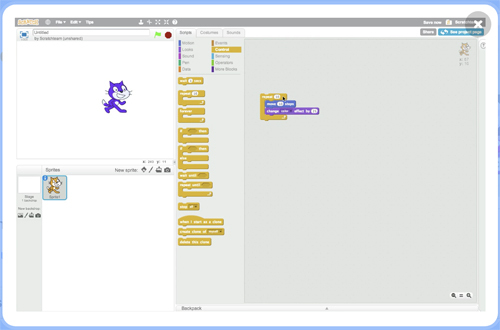 Developed at MIT, Scratch is a visual coding program that is perfect for kids aged 8-16 years old. Kids can create simple programs, animations or interactive stories. They can also share their work with the online Scratch community. Visit the Scratch Parents page to find out more. If you don’t wish to share projects, you’ll need to download the Scratch 2.0 Offline Editor. Separately, there are two coding toys have also been really good champions of coding for Chloe and have retained her interest over the years. We got her Dash, the coding robot for her 8th birthday. She was able to code easily on her iPad and control Dash the robot to do different things. This robot really gave her the concept of coding and it was amazing to see all the things she was trying to program Dash to do. I think Dash really helped click in her how powerful coding can be. Similarly, last year for her 9th birthday we got her the LEGO Boost Creative Tool Box and she was able to build Vernie the Robot. 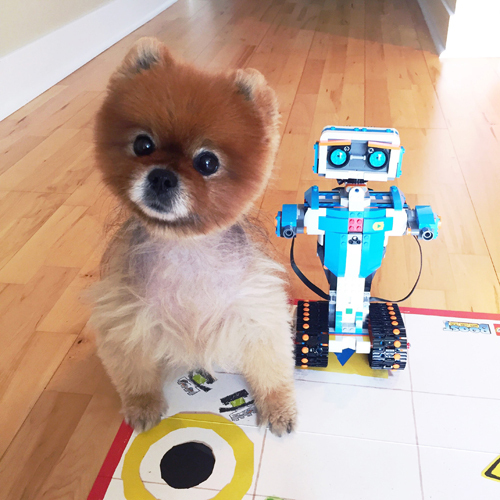 Let’s just say our dog Lulu wasn’t too happy that this robot was getting all the attention. She immediately stepped in when I started taking pictures of Chloe’s work! There are 5 different devices you can build: Vernie the Robot, Frankie the Cat, Auto Builder, M.T.R.4 and Guitar 4000. Currently, Chloe who is a huge LEGO lover is making the Frankie the Cat but changing it to be a dog. The only downside is that you have to take apart all the pieces of one item, in order to make another one.